We love the Texas Rangers! 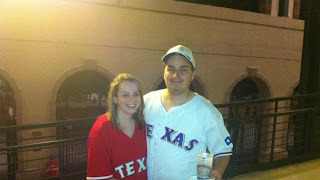 We went to several games last year & last night we went to our first game this year! It's always nice to get out with Hubby & enjoy the outdoors! After the game was a firework show in the parking lot!